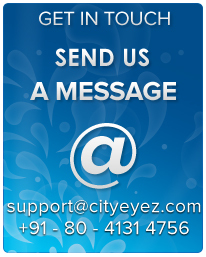 At City Eyez Online Marketing Pvt Ltd., we have a culture of our own! We focus on your career and your total development as an individual. We believe that since each one of us spends a major part of our day at work, we need to have a fruitful, happy and fun-filled time. We consistently focus on maintaining a healthy atmosphere at work to enable excellent relationships with colleagues. Job openings at City Eyez are posted and filled on an ongoing basis. You can respond directly to a job posting or could also submit your profile for consideration against future opportunities. However, submitting your resume against a specific requirement helps us understand your preferences better and route you to the right recruiting officer.